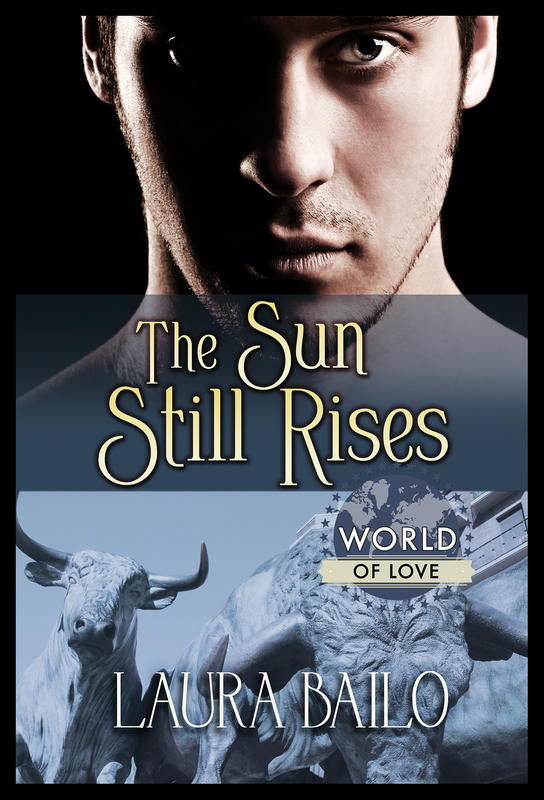 By the end of The Sun Still Rises, Erik has fallen in love with Pamplona just as he has fallen in love with David. 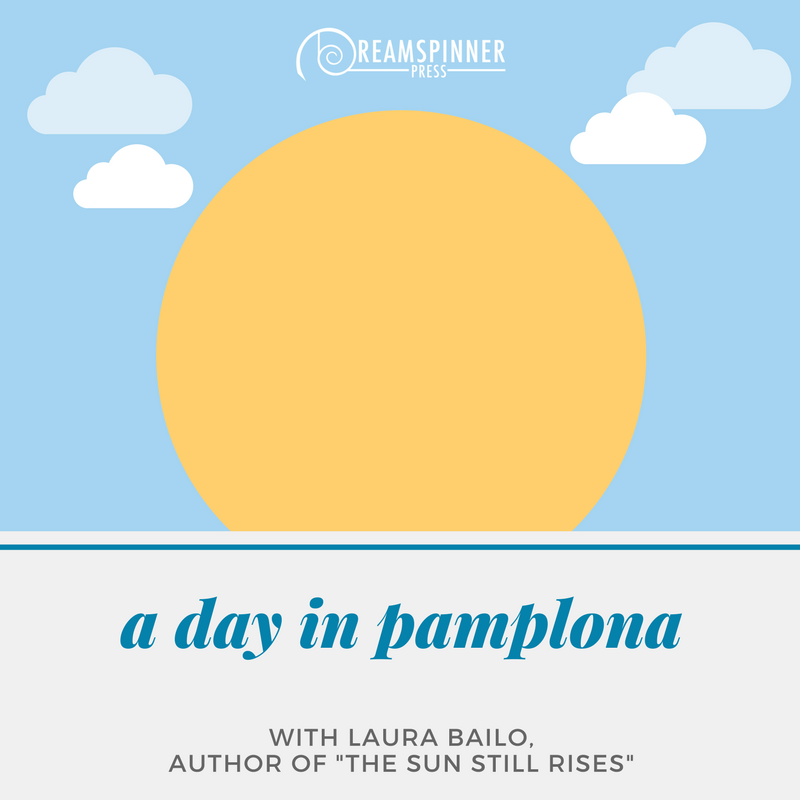 But since the San Fermín festival is not the best time to walk around and see everything Pamplona has to offer, I thought I could take you along on a visit. I’m going to show you three of my favorite places in this city. Are you ready? I love our walls, they were built between the 16th and 17th centuries, and they’re some of the best preserved ones in all of Europe. Nowadays they’re the perfect place for a walk and leisure activities. The city also organizes some activities around them, like the vertical dancing or the “walls under the moon light,” during which the wall is illuminated by candlelight and there’s music, food and drinks. Then, inside the walls, there’s the old city itself, with its narrow streets and colorful houses. If you walk around quietly, you can almost hear the houses speak to you. Between my favorite streets there’s the one that leads to the Cathedral, called Calle Curia. The names come from calle de los curas, which would roughly translate as Priests’ street. And I just told you this one is the street that goes up to the cathedral, so you can probably guess where the name comes from. It’s a narrow street that’s shadowed almost all the time, but the view from one of its ends is just amazing, especially if you manage to see it when there are still few people around. And then of course there’s the cathedral itself, although the exterior is nothing to write home about, in my opinion. I believe Victor Hugo once described it as having “donkey ears”. I probably wouldn’t go that far, but I do believe the exterior doesn’t do the rest of it justice. Of course, having said that, now you’re all dying to see the interior, aren’t you? I guess the last thing you expect after seeing the neoclassical facade is to find a gothic interior. But that’s not all. I don’t have pictures, but you can also see the patio, the small monastery where the monks that tended to the cathedral lived, and the kitchen, which has a medieval fireplace, one of the few you can find in Europe. All in all, it’s one of the biggest and most complete religious complexes in both Spain and the continent. So don’t let the exterior discourage you and come inside. You can go up to one of the bell towers too, and I promise you the view is worth it. So tell me, have I convinced you? Are you writing Pamplona down as one of your possible travel destinations? If you are, you can always let me know, and I’ll gladly send you information. I could even give you a tour! 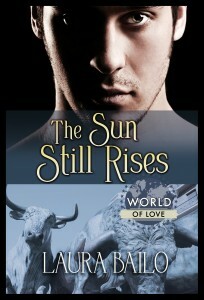 Check out The Sun Still Rises today! Erik’s father lived for Pamplona’s yearly festival and the running of the bulls. Now he’s gone, and Erik flies to Pamplona on a whim to see the festival his father loved—without booking a room first. He’s looking at sleeping on the ground until friendly David from the tourism office offers to share his home. When Erik realizes he trusts David, that he might even be willing to face his anxiety to get to know David better, he begins to understand what this trip could mean. Pamplona is even more beautiful when seen through David’s eyes, and Erik might have traveled around the world just to find himself. But can he hold on to his newfound confidence—and to David—when it’s time to go home? She lives in Spain with far too many books and boxes full of notebooks. She loves exploring the narrow streets of Pamplona and she’s known to have gotten lost in her own city. She loves reading, singing and trying out new cooking recipes, and if she’s feeling adventurous she may try to do all of these at the same time.